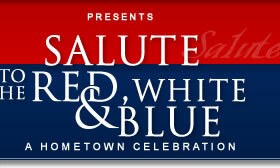 Join us in the heart of Downtown East Point for the oldest and largest Independence Day Celebration in South Fulton County, "Salute to the Red, White and Blue" Hometown Celebration! 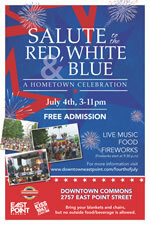 The celebration is held across from the East Point MARTA station & East Point City Hall. This fun filled event features activities for the whole family, with a select merchandise vendor market, musical performances throughout the evening, a fabulous food court including Italian ice, funnel cakes, smoked and grilled meats, fried fish, beer, margaritas and more, and of course, the evening's highlight at 9:30pm... South Fulton County's largest Pryo Digital Fireworks display synchronized to a musical score! 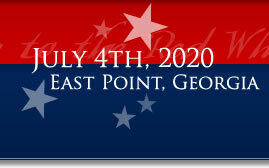 Come out with your family and friends and make memories in Downtown East Point while celebrating our nation's independence! 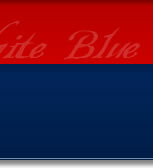 Patrons are invited to bring blankets and chairs to the event. Those with tents must set-up in a designated area on the site so as to not block the view of other attendees. In addition, no outside food, grills or beverage is allowed on the event site as a courtesy to the event vendors. NOTICE: On July 4th, East Point Street/Hwy 29 will be closed from 12noon – 1am from West Forrest Ave. down to West Cleveland Ave. Also, one lane of Main Street/Hwy 29 will be closed from West Cleveland Ave. up to Ware Ave. All lanes of Ware Ave. and West Cleveland Ave. from Main Street to Church Street will be closed as well from 9am – 1am. In addition, all lanes of Main Street/Hwy 29 will be closed from the intersections at Washington Road all the way up to West Forrest Ave. from 9:00pm – 10pm on the event day for the Fireworks Show. The pedestrian bridge will also be closed at this time. Notice: Attendees/Patrons: coolers, grills, food/beverage(that was not purchased at the event) are strictly prohibited and items will be confiscated due to sponsor/vendor conflicts. Patrons bringing tents and umbrellas will have to set-up in designated areas assigned by EPMSA so that other patron’s views of the stage and festivities are not restricted. No alcoholic beverages can leave the event premises-EP Police Dept. NO PETS. This event will be filmed and photographed by EPMSA and its affiliates and by attending the event, you are releasing and consenting to the use of those photos and video in various forms of media, on the web and in print by EPMSA. 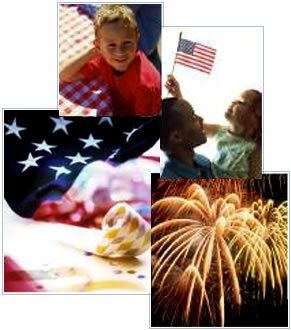 Activities/Attendees at the 4th of July Celebration may be photographed and/or videoed. These photographs and/or videos may be used by EPMSA as they determine. By attending this event or any other EPMSA event, you give permission for your likeness to be used as described above.